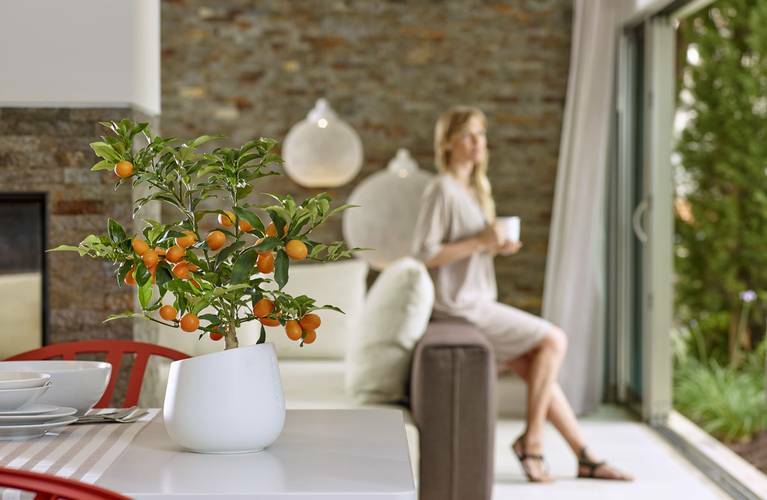 The quickest way to the heart of your beautiful new Citrina is with sunlight. Just ensure that its gets to spend its time in the sun and it will love you all the more for it. Like all the best tips for caring for your plant, don’t overthink it…its more intuitive than you might think. Place it near a window or other well-lit spot - just don't expose it to direct sunlight. Your new Citrina is a sensitive soul who likes contact – so turn your plant around every week or so and you'll be rewarded with a happy plant who will thank you with abundant crops of luscious fruit.